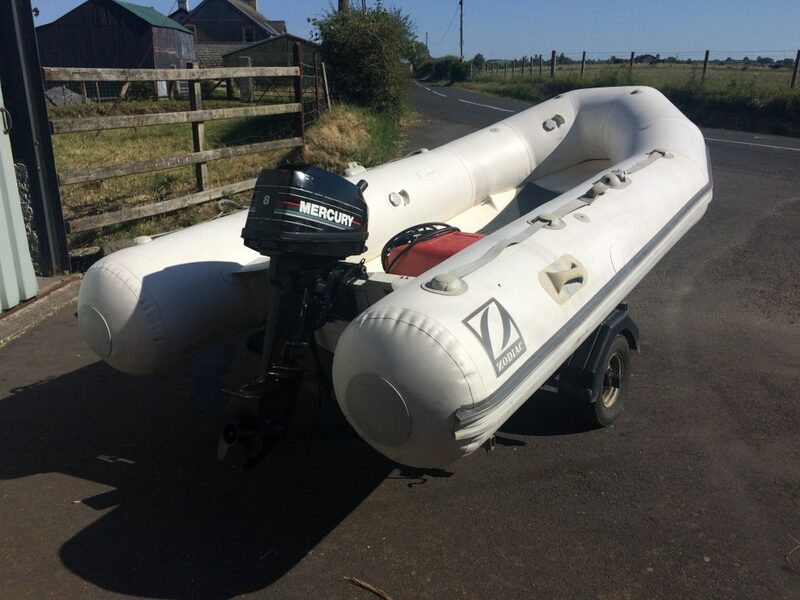 Pre-owned Zodiac Cadet 340 inflatable on Indespension road trailer. 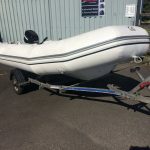 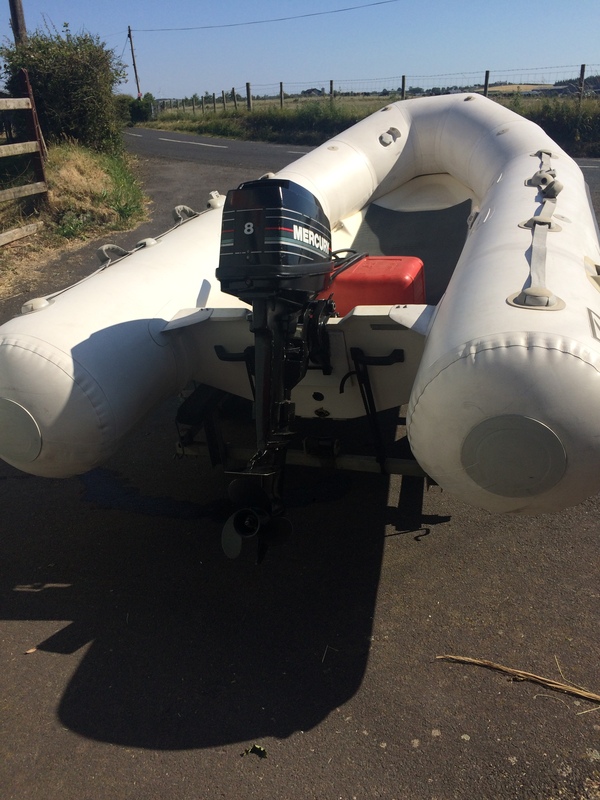 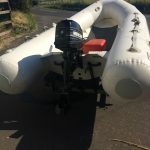 Comes with 8hp 2 stroke Mercury outboard, fully serviced with 6 months warranty. 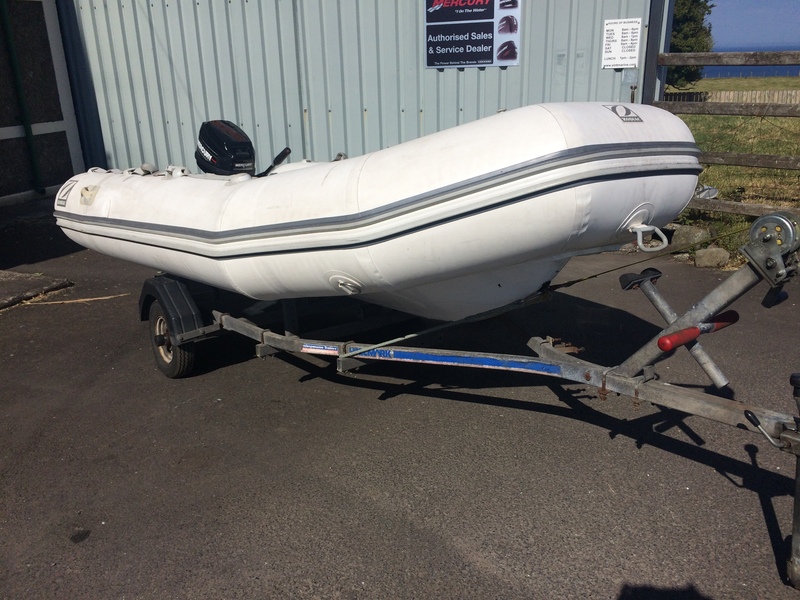 25 litre fuel tank included.